Although the book of a well-known expert on the Caucasus is called “The Making of the Georgian Nation”, the history of Georgia cannot be separated from that of Armenia. The below excerpt should undoubtedly of interest to everyone who would like to learn more about the early historical development of the two nations of the South Caucasus. 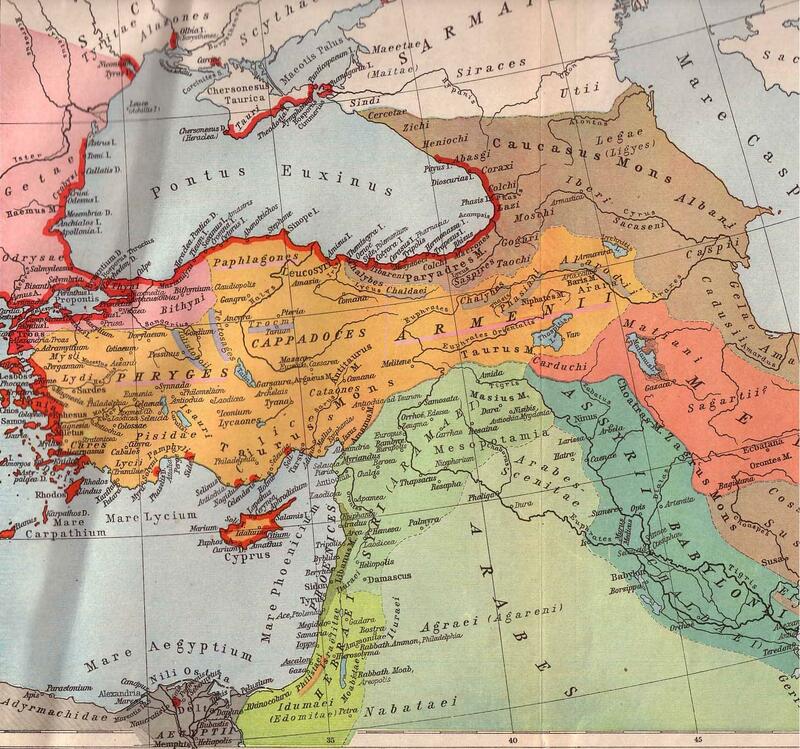 The fragility of the various "empires" of the eighth century became evident about 720 B.C. when nomadic peoples from the northern shore of the Black Sea, the Cimmerians, swept down the coast, passing through Colchis and into Urartu. 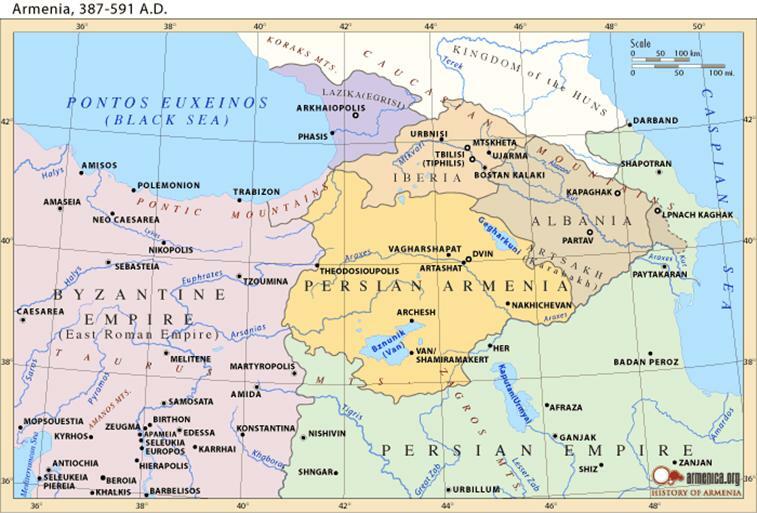 About the same time, the Scythians poured through the Daryal Pass into central Georgia and down the western coast of the Caspian into Urartu. The Cimmerians destroyed the southern Colchian state, known as Kulkha in Urartian inscriptions. 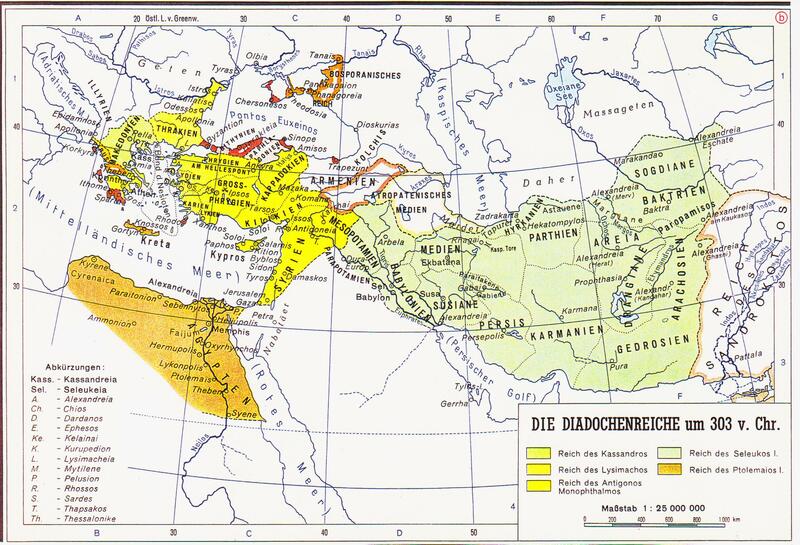 Whole regions were emptied of people as the Cimmerians moved south to Syria, Palestine, and the borders of Egypt. Some Mushki and Tibal, pushed aside by the Cimmerians, moved northeast into the Pontic regions, where by the fifth century they had made contact with Greek colonists. For a short time a distinct "kingdom of the Mushki" to the west, a state closely connected with the Phrygians, reigned as the strong­est state in Asia Minor. Ruled by Mitas, whom some scholars identify with the legendary Midas of the golden touch, the kingdom of the Mushki had its capital at Gordion, and its people spoke Phrygian, an Indo-European lan­guage. The brief ascendancy of the Phrygian-Mushki state came to an end at the hands of the Cimmerians, who were probably allied with Rusa II of Urartu (685-645 B.C.). 18 Some of the Mushki assimilated with local peoples, but others moved northwest out of the area known as Speri. taking With them their Hittite religion and culture. The second half of the seventh century B.C. marked the rise of significant political formations that can be identified with proto-Georgian tribes. Some of these tribes, living in the upper reaches of the Chorokhi River, were united under the name sasperi.21 Based in the former territory of the Diauehi, the Sasperi had much of southern Transcaucasia under their sway bythe early sixth century and participated in the destruction of the Urartian empire, only to disintegrate under the expansionist thrusts of the Medes in the east. Early in the sixth century, the Urartian empire fell to the Medes, Scythians, and Sasperi, and the Median empire replaced it as the principal political power in Asia Minor. 24 The destruction of Assyria, Urartu and, not long afterward, of Media created a fluid situation in which tribes of language groups migrated and settled in nevw areas that proved to be relatively permanent homes. Armenian tribes moved eastward and occupied Hurrian lands west of Lake Van and to the south of what is today the city of Mush. These lands had been called Arme or Armeni by Urartians, and this may be the source of the name by which Armenians are known to the world.25 Sometime in the sixth and fifth centuries B.C. some Georgian-speaking tribes, probably the Mushki and Tibal, made their way northeast and settled in the Kura valley, where they formed the nucleus of the Iberian or east Georgian nation.26 Burney and Lang note the violence that accompanied this migration: "To judge by the abundance of warrior graves of the period the supremacy of the Iberians over the Scythians, Cimmerians and other Indo-European invaders of the Kura Valley was not won without a struggle. Living in troglodytic towns like Uplistsikhe (near Gori), the Iberians moved later to Mtskheta on the Kura. This capital was defended by the fortresses of Armazi on Mount Bagineti and Sevsamora on the Aragvi River. Without many prisoners but with great numbers of oxen, asses, and sheep, Xenophon moved on through 150 miles of the country of the Chalybes. In the first half of the fourth century B.C., the Persians may have to reassert their suzerainty over the western Georgian tribes, for it is known that the Greek cities of Sinope and Amis came under their authority. But the Achaemenid hold over the western satraps was tenuous, and during the reign of Artaxerxes II (405—359 B.C.) several provincial subordinates, including Orontes of Armenia and Datam of Cappadocia, revolted against Persian authority.37 With the campaigns of Alexander the Great and his decisive victory over the Persians at Arbela (Gaugamela) in 331 B.C., Persian power collapsed in Asia Minor. The Greek expansion not only drove back the ftrsians but introduced a new cultural and political hegemony over eastern Anatolia. 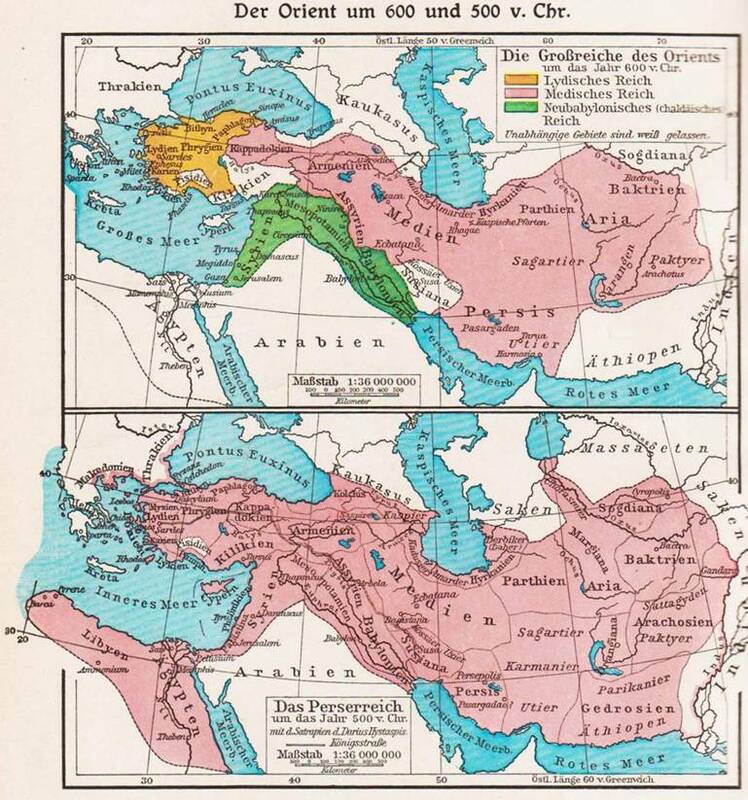 The dominance of Persian and Mesopotamian political culture was both inhibited and complemented by the Greek in a new Hellenistic syn¬thesis, though the influence of Iranian culture remained strong in Georgia and Armenia. 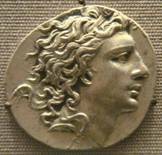 With the conquest of Persia by Alexander the Great, a "new epoch of lively commercial and industrial activity" began in Asia Minor. Whereas in the exclusively agricultural economy of Achaemenid times the peoples of Transcaucasia had not been familiar with monetary transactions, at least not until the end of the age, in the Seleucid period money was widely introduced into commercial dealings. Alexandrine drachmas and tetradrachmas were used in western Georgia and Armenia, though not in eastern Georgia, and gold staters of Alexander were used in all three regions. 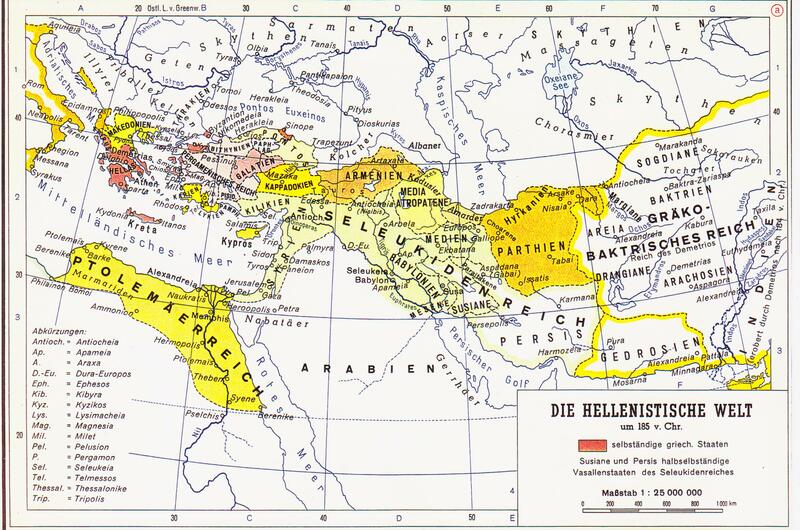 The economic advance of the Hellenistic period was especially keenly felt by the Greek cities of the Black Sea coast. The world trade route from India ran through Media and the Ararat plain to Colchis.46 This western Georgian state was federated to Kartli-Iberia, and its kings ruled through skeptukhi (royal governors) who received a staff from the king. But Iberian power over western Georgia had waned by the late second century B.C., and Colchis-Egrisi proved an easy target for the vigorous ruler of Pontus, Mithradates VI Eupator (111—63 B.C.). Western Georgia thus passed out of the Persian and Iberian spheres of influence into the Greco-Roman culture of the classical cities of the Black Sea littoral. Roman power was never very firm in eastern Georgia, and by the second half of the first century B.C. the growing strength of the Parthian successors to the Persian Seleucids was being felt throughout Transcaucasia. 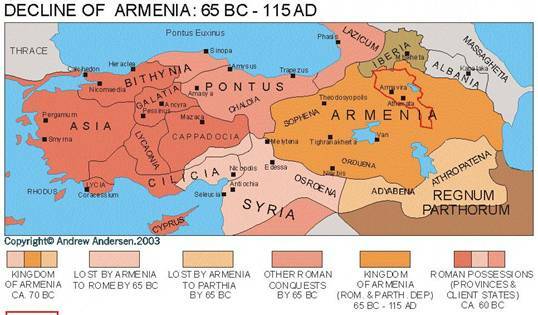 For three centuries Romans and Parthians fought over the Armenian and Georgian lands that stood between their rival empires, and the Transcaucasian peoples alternatively sided with one or the other power to maintain their autonomy or to benefit from association with a powerful neighbor. A pattern of Anatolian and Caucasian political maneuvering developed by which the lesser local rulers shifted allegiances, not on the basis of ethnicity or religion, but in desperate attempts to maintain local power in the face of constant threats from larger states. Security could be achieved only temporarily and only in alliance with one of the dominant powers. 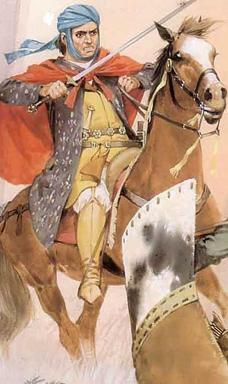 Rather than an undiluted and consistent struggle for national independence or religious integrity, as is often proposed by modern historians, the struggles of the Armenian, Georgian, and Albanian kings and princes should be seen as a series of constantly changing political orientations. In a treacherous and precarious situation, their lodestar was survival. Often this meant that princes gravitated toward one great power while their monarchs moved toward another. Once the Arsacids had firmly established their hold on the Armenian throne in the second century A.D., they extended their rule to Kartli-Iberia. Rev I (martali, "the Just"; 189-216), overthrew his wife's brother, Amazaspus II, last of the Pharnabazids. 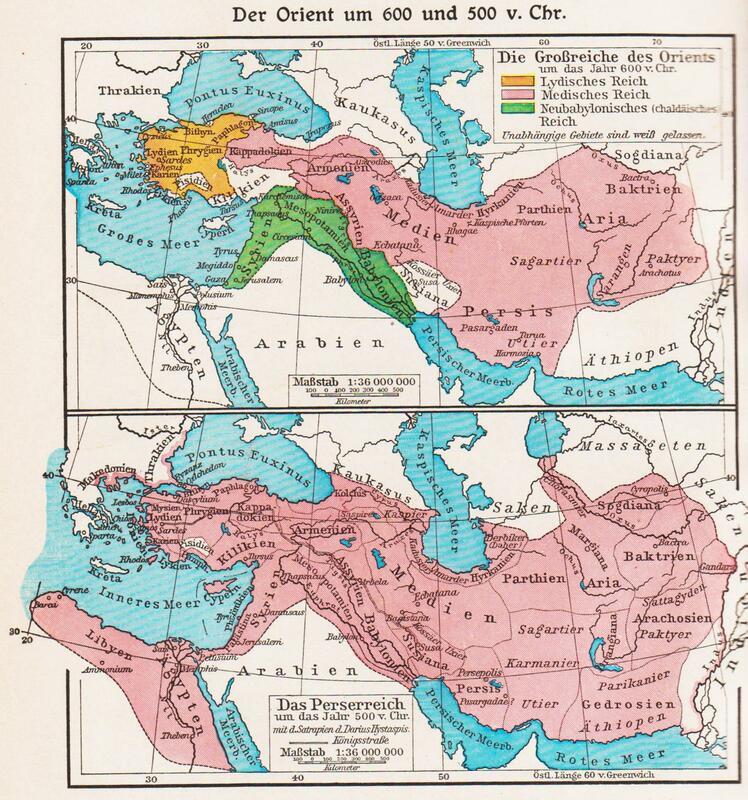 But even as Arsacids triumphed in l lie Caucasian kingdoms, that dynasty fell from power in its original homeland, Persia, when the dynamic Ardashir overthrew the Parthian dynasty and founded the four-hundred-year empire of the Sassanids (224—651). Led by their warrior-kings, the Sassanids forced Armenia to succumb to their authority, drove back the Romans, captured Emperor Valerian, and invaded pro-Roman Kartli-Iberia and Albania.55 Shapur I (242—272) placed a vassal, Amasaspus III (260-265), on the throne of Kartli-Iberia, possibly a rival or antiking of Mihrdat II. The Romans regained Caucasia briefly under Emperor Aurelian (270-275) and again when Carus defeated Iran in 283. The Arsacid line in Kartli-Iberia ended the next year, and the Iranians took advantage of internal strife In the Roman empire to establish their candidate, Mirian III (Meribanes, 284-361), son of the Great King of Iran, on the throne of eastern Georgia.56 In l^H, after a great Roman victory, Iran and Rome signed the Peace of Nisibis, and Mirian was recognized as king, though suzerain rights over Hiiiih-lhcria and Armenia passed to the Romans. Albania came under Iranian control. With King Mirian the classical period of Georgian history came to an end, for this monarch was the first of his line to adopt Christianity. The first centuries A.D. were the period in which the distinctive features of Caucasian society were molded. Caught between the Roman and Persian worlds, Armenia and Kartli-Iberia were clearly influenced culturally by both, hut in the formation of their societies Persian norms played the dominant role.65 Nicholas Adontz points out the differences from the development of the West, where the state rose from urban settlements to city-states to empires (which in many ways were city-states writ large). In the East, "family relations remained the basic generative principle of political life. "66 Originally a tribal confederation, the Persian empire had evolved by Parthian times into a class society, though one that remained characterized by tribal underpinnings. The Arsacids were kings of kings, rulers of other semiautonomous rulers who paid tribute and gave military service to their overlords. While Adontz refers to the Arsacid period in Armenia as "feudal," Toumanoff makes an important distinction between "feudalism" and what he calls "dynasticism." Disagreeing with Adontz that the Caucasian social structure was essentially the same as that of Western feudalism, Toumanoff argues that in the Armenian nakharar system the princes held their lands absolutely and had much greater local power than did West European nobles, whose tenure was conditional and based on service. Caucasian society was at first dynastic and only later did it approach feudal forms. Toumanoff's dynasticism is marked by princely independence, allodial land tenure, and the primacy of the tribe rather than the state. 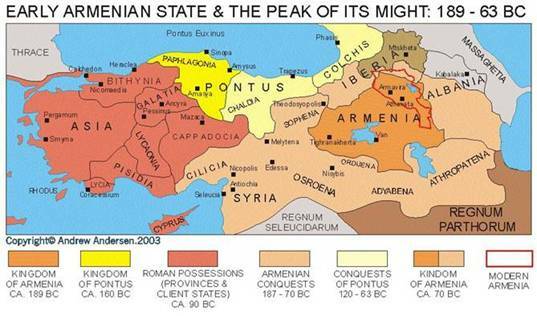 In Armenia under the Artaxiad dynasty, feudal forms were introduced into a basically dynastic sociopolitical structure. Local princes, whose landholdings existed before their loyalty to the king, became bound to the monarch by ties of political subordination. "As in Artaxiad Armenia, no doubt under the same imperial influences and probably simultaneously with it, Iberia now evolved that symbiosis of the feudalistic and the dynastic regime which characterizes Caucasian so-ciety. The king of Iberia stood at the summit of the two orders, dynasticist and feudal, both as the superdynast and as the theoretical sole source of sovereignty." Toumanoff goes on to explain that "the feudal aspect of the princely class stemmed, in Armenia as in Iberia, from the attempt of the High Kings to involve the dynasts in the service mechanism of the monarchy. "67 A mixture of dynasticism and feudalism emerged in eastern Georgia. Whereas in Armenia the dynastic aspects proved indestructible and prevented the kings from ever fully subordinating the nakharars (princes), in Kartli-Iberia monarchical power was exercised more completely and feudal ties were more secure. The Iberian kings were more fortunate than those in Armenia in welding their nobility into a system of service to the monarch, and Iberian monarchs were able at times to unite with their petty nobles against the power of the great princes, something the Armenian kings were unable to do. 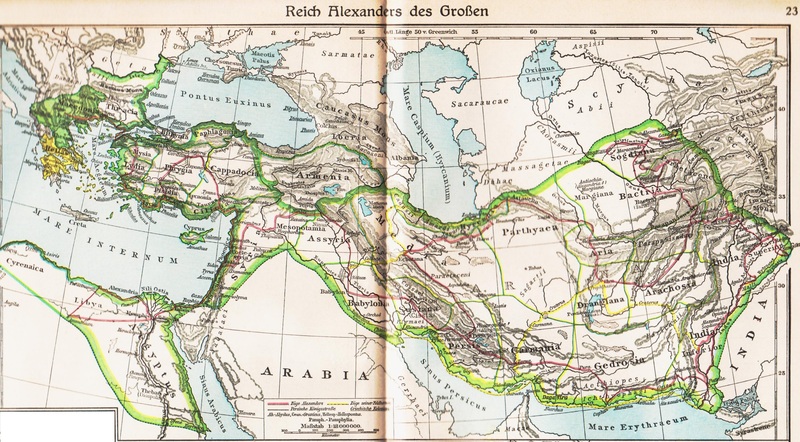 In its most permanent sociopolitical forms, Georgia was a reflection of Iranian organization rather than Roman. The king of Kartli-Iberia was a hereditary monarch, like the Iranian Great King, not an elected or appointed ruler as in the Roman tradition. Kartli early developed a privileged and hereditary nobility based on the land, just as her neighbor to the east, Iran, had done. In Rome-Byzantium the "ruling class" was an imperial officialdom, nonhereditary and largely the creature of the emperor. As Toumanoff sums up: "Socially the Caucasian polities were similar to the Iranian and utterly unlike the Romano-Byzantine. Armenia and Iberia were even more aristocratic in character than Iran, being, in fact, federations of dynastic princes—each the overlord of a body of lesser nobility—presided over by kings. 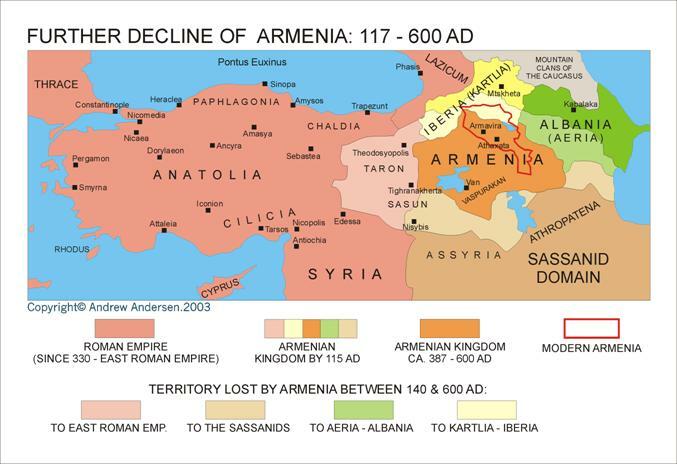 "70 Yet at the end of the classical period the conversion of Georgia and Armenia to Christianity committed these states to an orientation toward the Romans. Socially akin to the East, Christian Caucasia filtered the medieval period with a new cultural and religious allegiance to the West. 9. Burney and Lang, Peoples of the Hills, pp. 43-85; and J. Mellaart, "Anatolia, c. 4000-2300 B.C.," Cambridge Ancient History, vol. 1, pt. 2, pp. 401-3. 10. Dates for monarchs indicate reigns. For a discussion in English of this period, see David Marshall Lang, The Georgians (London: Thames and Hudson, 1966), pp. 36-53; and J. Mellaart, "Anatolia, c. 2300-1750 B.C.," Cambridge Ancient History, vol. 2, pt. 2, pp. 688-90. 11. Melikishvili writes: "The epic of Amiriani has with time undergone many changes. The succeeding centuries left on it a number of additions, but ... the tales which lay at the basis of this epic undoubtedly were spread among the Georgian tribes already in the era of Bronze culture" (Berdzenishvili et al., Istoriia Gruzii, p. 27,,. 12. Burney and Lang, Peoples of the Hills, p. 114. 13. Melikishvili, K istorii drevnei Gruzii, p. 111; and Toumanoff, Studies, p. 56. 14. Melikishvili, K istorii drevnei Gruzii, p. 175; and Toumanoff, Studies, pp. 55­56. 15. Melikishvili, K istorii drevnei Gruzii, pp. 179, 203. On Urartu, see B. B. Piotrovskii, Vanskoe tsarstvo (Urartu) (Moscow, 1959), and Urartu: The Kingdom of Van and Its Art, trans. and ed. Peter S. Gelling (New York: Praeger, 1967). 16. Berdzenishvili et al., Istoriia Gruzii, pp. 28-31; Melikishvili, K istorii drevnei Gruzii, pp. 204-17. In the mid-eighth century B.C. Sarduri II of Urartu reporte_ invading Colchis several times and once taking the city of Ildamusha. 17. I. M. D'iakonov, Predistoriia armianskogo naroda: Istoriia armianskogo nagor'ia s 1500 po 500 g. do N. E. Khurrity, Luviitsy, Protoarmiane (Erevan, 196 . pp. 119-20. Recently an English translation has appeared: I. M. Diakonoff, The Pre-history of the Armenian People, trans. Loni Jennings (Delmar, N.Y.: Caravan Book,. 1984). 18. Melikishvili, K istorii drevnei Gruzii, pp. 112, 225-29. Melikishvili says that this kingdom was known as Phrygia to the Greeks but as the "kingdom of the Mushki" to the Urartians (p. 255). 19. Ibid., pp. 102, 197. 20. G. A. Melikishvili, Nairi-Urartu (Tbilisi, 1954), pp. 418-19. 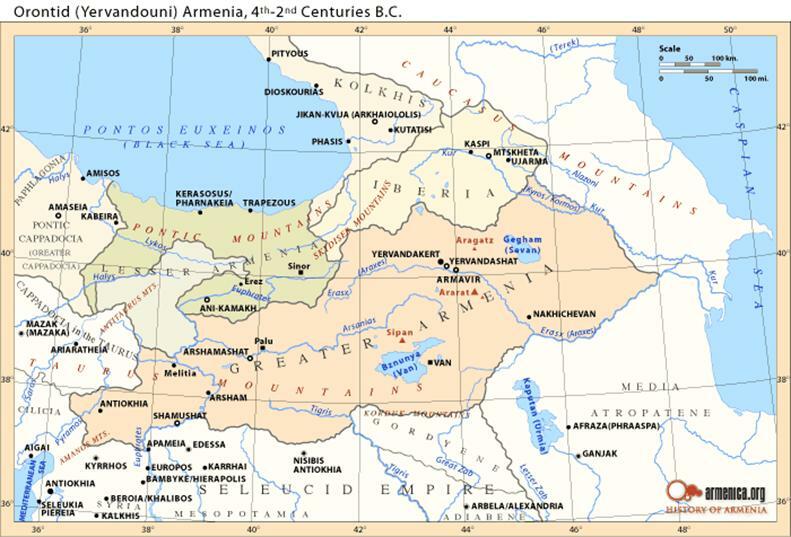 The Armenian area was known as Sokhmi or Sukhmi and is the source of the Georgian words t-07 Armenian (somekhi) and Armenia (somkheti). 21. Berdzenishvili et al., Istoriia Gruzii, pp. 33-34. 22. Melikishvili, K istorii drevnei Gruzii, p. 233. 23. Burney and Lang, Peoples of the Hills, pp. 193-94. 24. Melikishvili, K istorii drevnei Gruzii, p. 231; B. B. Piotrovskii has established that Teishebaini (Karmir Blur) was destroyed by the Scythians. 25. Melikishvili, K istorii drevnei Gruzii, p. 234; see also Toumanoff, Studies, pp. 61-62 n. 58. 26. On the complex question of whether the Mushki were proto-Georgians or proto-Armenians (Melikishvili and D'iakonov disagree) see the discussion in D'iakonov, Predistoriia, pp. 214-24. 27. Burney and Lang, Peoples of the Hills, p. 194. 28. Toumanoff, "Introduction to Christian Caucasian History: The Formative Centuries," p. 23n; A. D. Godley, trans., Herodotus, vol. 2, Loeb Classical Library (Cambridge, Mass., 1938), pp. 121, 123. 29. Godley, Herodotus 2:387, 389. 31. Berdzenishvili et al., Istoriia Gruzii, p. 41. 32. O. J. Todd, trans., Xenophon, Anabasis, Books IV--VII, Loeb Classical Li­brary (New York, 1922), pp. 59-67. These were probably all Georgian-speaking peoples. The Chalybes may not have been a distinct ethnic group but simply people identified by the Greek used word to describe the ironworking tribes of the area (khalyps means "steel" in Greek). Melikishvili argues that the Chalybes mentioned by Xenophon as living in two different places and later by Strabo were not a separate ethnic group but were probably the Khaldi, known to the Armenians as Khaghtik, who in fact were the Chans (Sans) (Melikishvili, K istorii drevnei Gruzii, pp. 70-72, 258). The Taochi (Taokhoi) were the people known formerly to the Urartians as Diauehi (Diauhi, Daiaeni) and are mentioned in Sarduri 11's records as ironworkers (Lang, The Georgians, pp. 59-60). 33. Todd, Xenophon, pp. 67, 73. 34. Todd, Xenophon, pp. 73, 75. 35. Todd, Xenophon, p. 131. 36. Melikishvili, K istorii drevnei Gruzii, p. 264. 38. Lang, The Georgians, pp. 57, 75-76; and Melikishvili, K istorii drevnei Gruzii, p. 45. 39. Melikishvili, K istorii drevnei Gruzii, pp. 125-26. Kartlosi is described in the chronicles as mamatmtavari ("father of his people") and targamosis dze ("born of Targamosi," the great-grandson of the biblical Noah) (karths tskhovreba, ed. S. Qaukhchishvili [Tbilisi, 1955], vol. 1, pp. 4, 5, 7, 9, 10, 11, 26, 60). The name Parnavaz is Iranian (F. Justi, Iranisches Namenbuch [Marburg, 1895; Hildesheim, 1962], p. 92). I am grateful to Professor Peter Golden for these references. 40. Melikishvili, K istorii drevnei Gruzii, p. 126. 41. Cyril Toumanoff, "Chronology of the Kings of Iberia," Traditio 25 (1969): 9. 42. W. E. D. Allen, A History of the Georgian People from the Beginning down to the Russian Conquest in the Nineteenth Century (London, 1932; New York: Barnes and Noble, 1971), p. 41. 43. Melikishvili, K istorii drevnei Gruzii, pp. 131, 279, 290. 44. 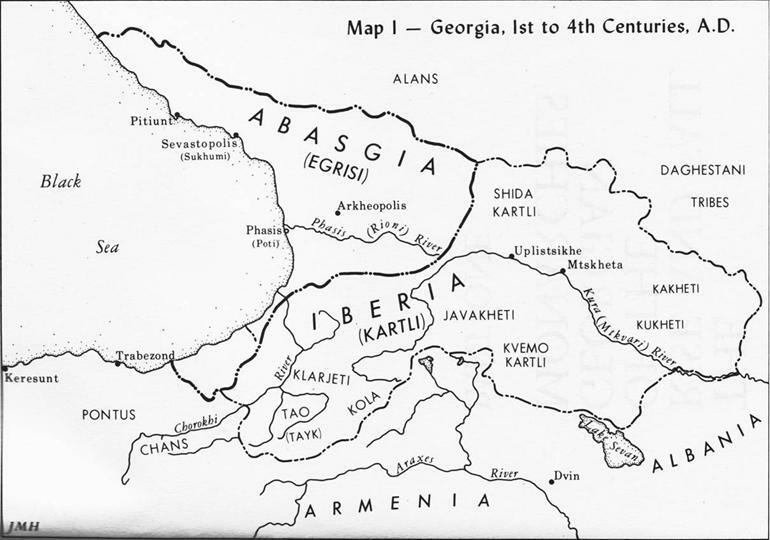 Cyril Toumanoff, "Iberia on the Eve of Bagratid Rule: An Enquiry into the Political History of Eastern Georgia Between the IV and the IX Century," Le Museon 65 (1952): 28-30. 45. Melikishvili, K istorii drevnei Gruzii, p. 125. 46. Ia. A. Manandian, O torgovle i gorodakh Armenii v sviazi s mirovoi torgovlei drevnikh vremen (Erevan, 1945). References are to the English translation by Nina Garsoian: H. A. Manandian, The Trade and Cities of Armenia in Relation to Ancient World Trade (Lisbon, 1965), pp. 29, 38-39. 47. Ibid., pp. 50—52; on Artaxias's origins in Media, and Iranian influences on Armenia, see Anahit Perikhanian, "Une inscription arameenne du roi Artases trouvee a Zangezour (Siwnik)," Revue des etudes armeniennes, n.s., 3 (1966): 17—29, and "Les Inscriptions arameennes du roi Artaches (A propos d'une recente trouvaille epigraphique en Armenie)," ibid., n.s., 8 (1971): 169-74. 48. Bernadotte Perrin, trans., Plutarch's Lives, vol. 5, Loeb Classical Library (New York, 1917), p. 207. 49. 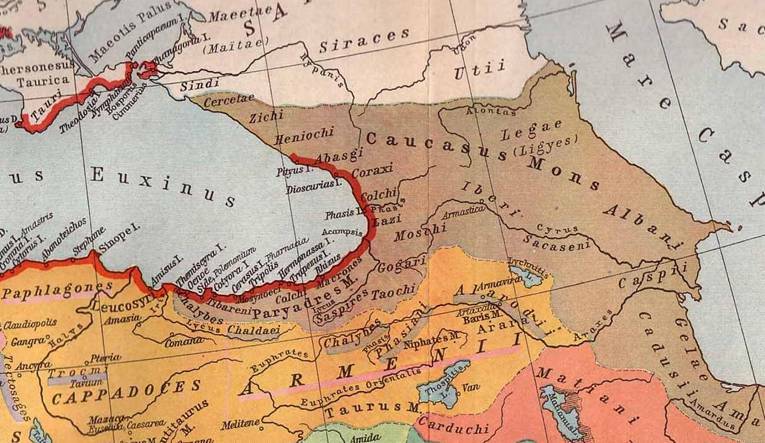 Some Western scholars, like D. Magie, argue that the Romans aimed at con¬trolling the northern Transcaucasian transit trade route (Kura-Phasis), but Manan¬dian and other Soviet scholars believe that the northern route was much less important than the southern, which ran through Artaxata in Armenia (Manandian, Trade and Cities, pp. 48-49). 50. Toumanoff, Studies, p. 83. 51. Melikishvili, K istorii drevnei Gruzii, pp. 337, 344—45; and Berdzenishvili et al., Istoriia Gruzii, p. 61. 52. Cyril Toumanoffj "Caucasia and Byzantium," Traditio 27 (1971): 114. Con¬trol over the Caucasus meant control over the northern passes through which raiders from the steppe could move down into Iran or the eastern Roman holdings. 53. Allen, History of the Georgian People, p. 75. 54. The ambivalence of Roman-Iberian relations is well illustrated in what we know of the reign of the most celebrated of the east Georgian monarchs of the second century A.D., Parsman II (called kveli, the "good" or "valiant"), who ruled from 116 to 132. Parsman was a friend of the Emperor Hadrian, who honored him with the gift of an elephant. The Georgian monarch sent gold-embroidered cloaks in return. In 129, however, Parsman refused to pay homage to Hadrian on the occasion of the emperor's visit to the East. Tensions with Rome prompted Kartli-Iberia to ally with the Alans and campaign against the great empires to the south (Toumanoffj "Chronology of the Kings of Iberia," p. 16; Melikishvili, K istorii drevnei Gruzii, pp. 353- 62). Half a century later, Parsman III (135-185) was the guest of Emperor Antonius Pius and was honored by being permitted to make offerings in the Capitol. His equestrian statue was erected in the Temple of Bellona, and the territory of Iberia was increased (Toumanoff, "Chronology of the Kings of Iberia," p. 17). 55. Ibid., p. 18. On the Sassanids, see A. Christensen, Iran sous les Sassanides (Copenhagen, 1944). 56. Toumanoffj "Chronology of the Kings of Iberia," pp. 21-22. 57. Jones, Geography of Strabo, p. 211. 60. Toumanoff, "Introduction to Christian Caucasian History: The Formative Centuries," pp. 43, 45, and Studies, pp. 91, 93-94. 61. Melikishvili, K istorii drevnei Gruzii, p. 315; and Berdzenishvili et al., Istoriia Gruzii, p. 68. The coincidence of identical terms far "people" and "armed force" was widespread in the early societies; c£ the Indo-European languages: the German Volk and the Slavic polk. 62. Toumanoff, Studies, pp. 94—95; and Melikishvili, K istorii drevnei Gruzii, pp. 312-13. 63. Manandian, Trade and Cities, p. 73. 64. Melikishvili, K istorii drevnei Gruzii, 439-40, 443-44. Vajari is an Iranian loanword from the Persian vazar (bazaar). 65. For a penetrating study of the Iranian influence in ancient Armenia, see Nina Garsoian, "Prolegomena to a Study of the Iranian Aspects in Arsacid Armenia," Handes Amsorya 90 (1976): 177-234. 66. N. Adontz, Armenia in the Period of Justinian: The Political Conditions Based on the Naxarar System (Louvain-Lisbon, 1970), p. 291. This is a translation by Nina Garsoian of Adontz's classic Armeniia v epokhu lustiniana: Politicheskoe sostoianie na osnove nakhararskogo stroia (St. Petersburg, 1908). 67. Toumanoff, "Introduction to Christian Caucasian History: The Formative Centuries," pp. 50, 62. 68. Georges Charachidze, Introduction a I'etude de la fiodalite georgienne (Le Code de Georges le Brillant) (Paris, 1971), p. 97. 69. Toumanoff, Studies, pp. 96-98; and Melikishvili, K istorii drevnei Gruzii, pp. 67-68, 474-75. 70. Toumanoff, "Christian Caucasia Between Byzantium and Iran: New Light from Old Sources," Traditio 10 (1954): 123-24.